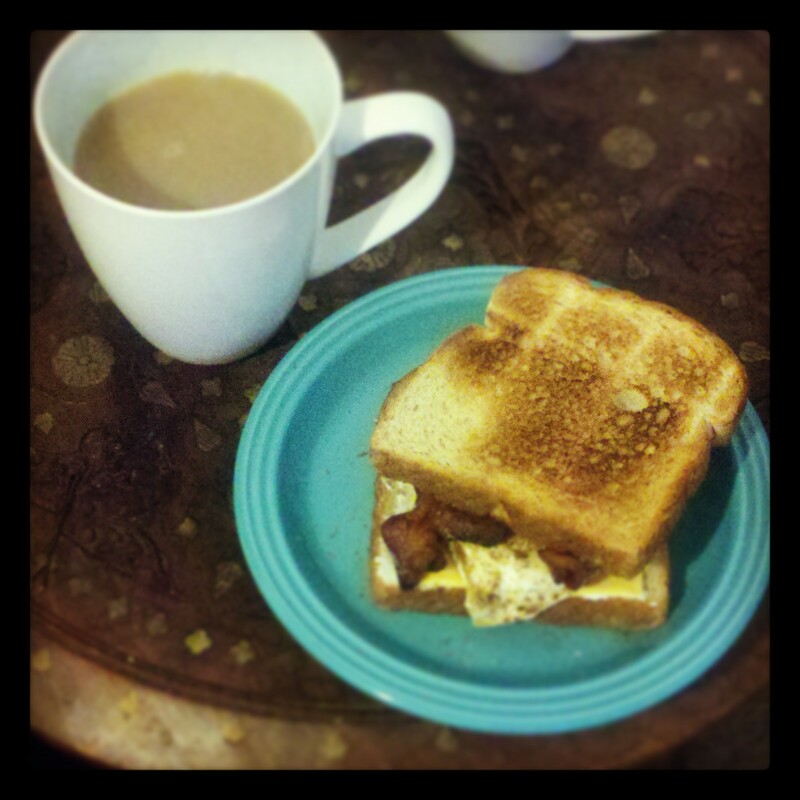 I’ve been wanting to share this humble sandwich with you ever since I first conceived of this blog. It’s in a close race with my mom’s tacos for the thing most often eaten in this house. It’s something you can throw together with things you probably have laying around your kitchen, and it brings me ridiculous amounts of joy to eat it. 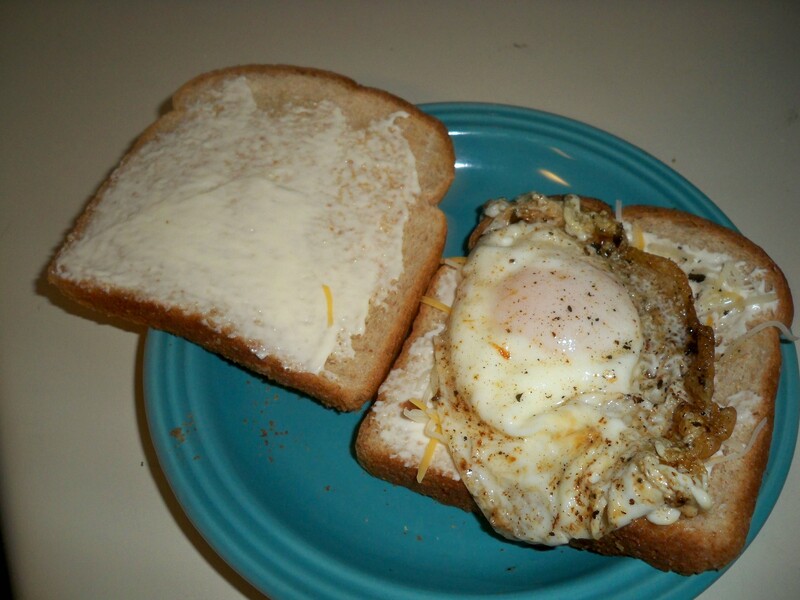 We like to call it the cholesterol sandwich. 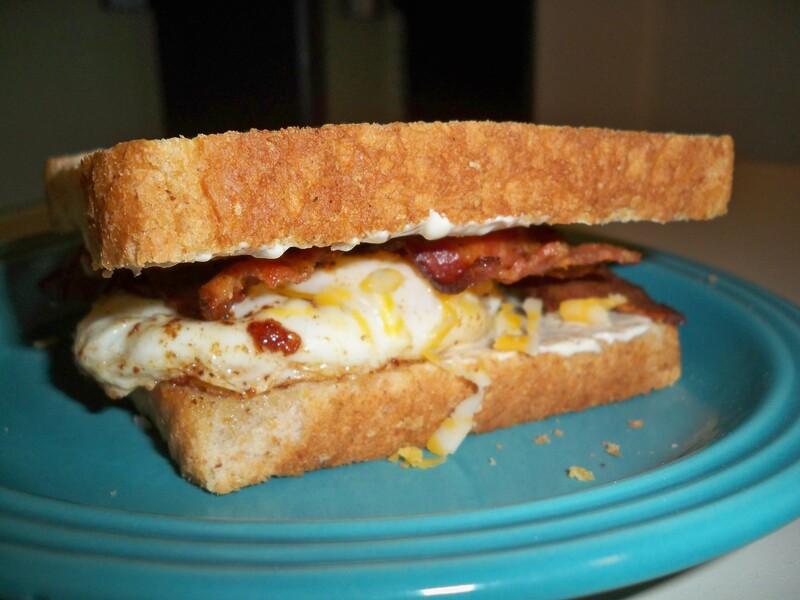 Okay, it’s really just bacon, egg, and cheese on toast. We give weird names to things sometimes. Get over it. There are a few things you have to do to make this sandwich extra special. I could say make your bacon anyway you like, but if you’re not cooking your bacon to utter crispiness, as in moments from incineration, then your sandwich probably won’t be as awesome. You’ll bite into it and your bacon won’t snap and you’ll end up pulling off an entire piece of bacon at once. I hate that. Crispy bacon, people. It’s the way of the future. And you absolutely must fry your eggs the way my husband does. The first time I saw him doing this, I was utterly disgusted. But then I ate the sandwich, and I was utterly delighted. You have to crack the egg right into the pool of bacon fat you’ve just created, and then splash the bacon fat over the egg to cook it. The egg doesn’t get flipped, it just gets bathed in bacon fat until the whites are set and the yolk is at maximum oozing potential. 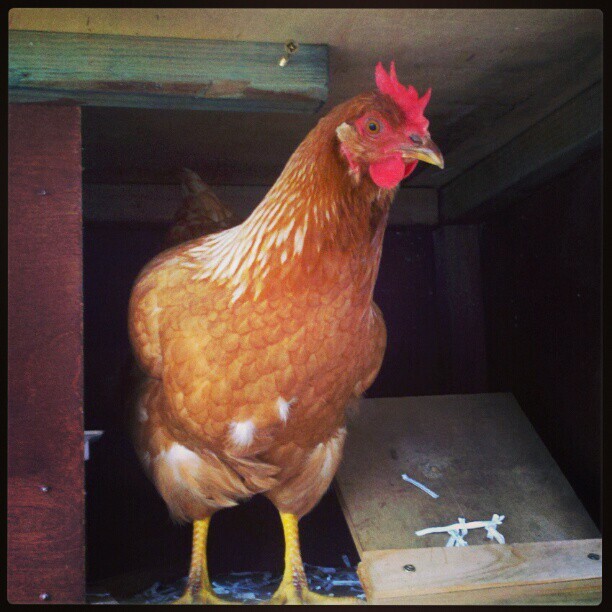 And if you can get eggs fresh from your backyard, you win the super awesome medal of awesomeness. There will be a post on the awesomest of pets coming soon. There’s nothing fancy here. You could jazz it up with smoked gouda. You could make it healthy with turkey bacon. There are a million variations. But if you want to make a heavenly meal on the cheap, buy whatever bacon is on sale at your grocery store. If they have a buy one get one free deal, you are in major luck. Put the other pack in the freezer and you’ll have cholesterol sandwiches for weeks. Then use whatever cheese you happen to have in your refrigerator. If you try to tell me you don’t usually have cheese in your fridge at any given moment, then you’ve probably been possessed by aliens. The most ridiculous bacon egg and cheese sandwich ever. Lay your bacon slices in a frying pan on medium high heat and cook to your desired level of crispiness. In the meantime, toast your bread and spread mayo on both sides. Put your cheese on while the bread is still warm. 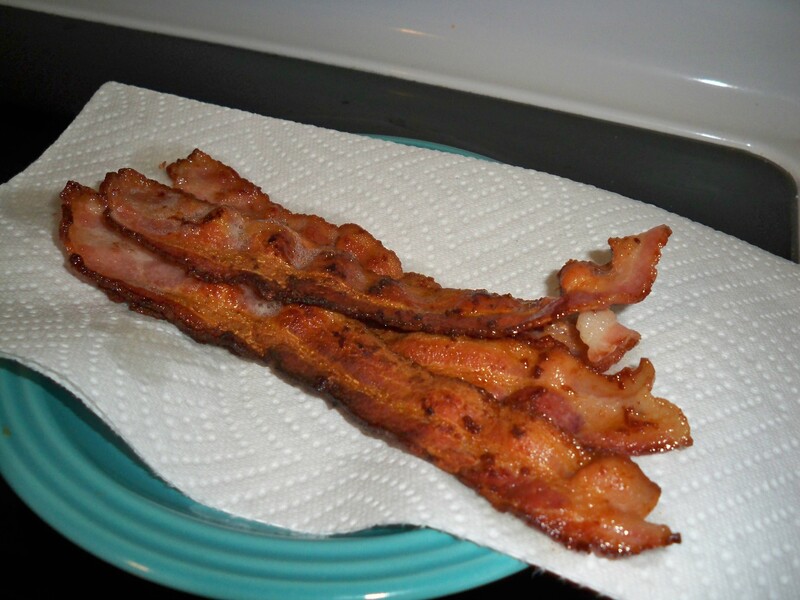 When the bacon is ready, lay it on a paper towel covered plate to drain. Crack your egg into the bacon grease. Try to keep it toward the edge. Tilt your pan toward the egg to make a pool of grease. Use your spatula to gently splash the grease over the egg. Once the whites have set, carefully lift out the egg and place it on top of the cheese. Break up your bacon and arrange it on your sandwich. Top it with the toast and give it a gentle press. Once you pick up this sandwich, you won’t be able to put it down. Don’t bother with napkins, just keep eating until it’s done, then go wash your hands. The euphoria will last for hours. 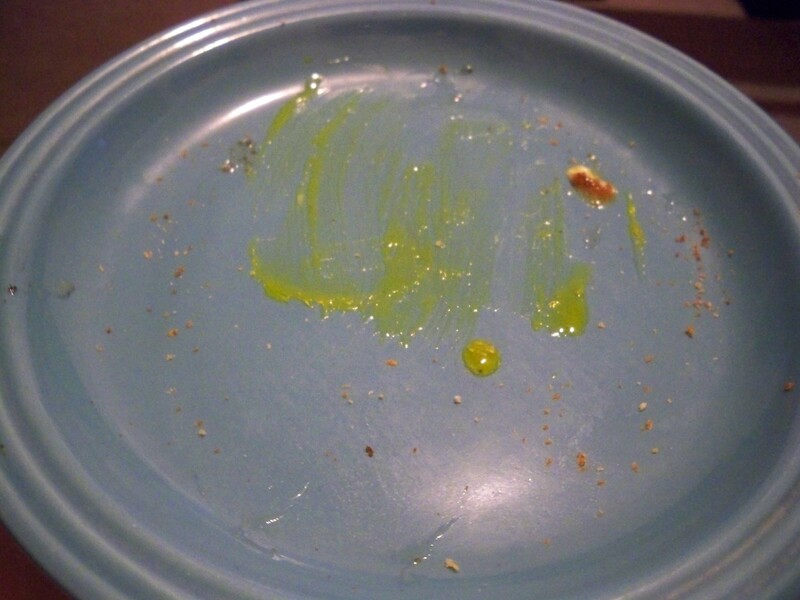 I made this sandwich, I want you to know! And I loved it!! Had my husband me whip me up one the other day! In fact, made it about three times last week for breakfast and lunch! So good! Then we tried it with sausage from our local butcher! mm mmm! Good post! I’m so glad you liked it. We had it this morning, and my egg yolk erupted all over my shirt. It was totally worth it. Local sausage sounds delicious.